After a good night's sleep, we woke up bright and early, had breakfast at some cafe and went to pick our Toyota Car! 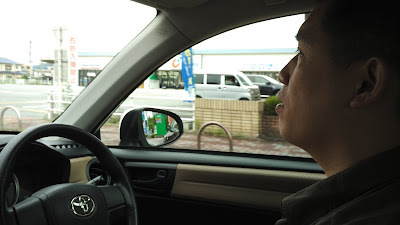 This was our first time driving in Japan, so naturally we were excited! I made a reservation via their Japanese website some time back. For English, unfortunately you need to dial their hotline in order to make a reservation. The reservation website is only in Japanese. 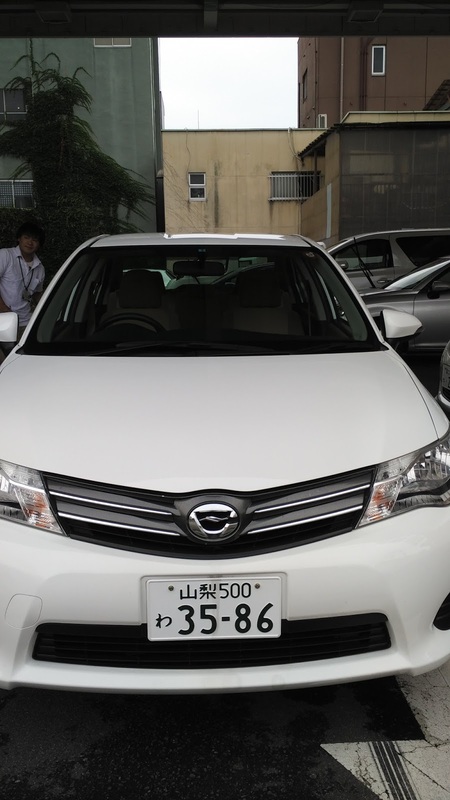 However, there is still a website that explains the various vehicles and rental rates from Toyota Rent a Car. It was quite a challenge but managed to go through, just that we need to opt for English GPS, and that could not be stated in their system. 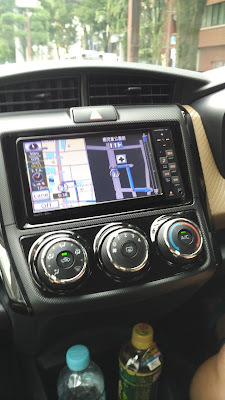 So I had to dial them up to reserve the English GPS. 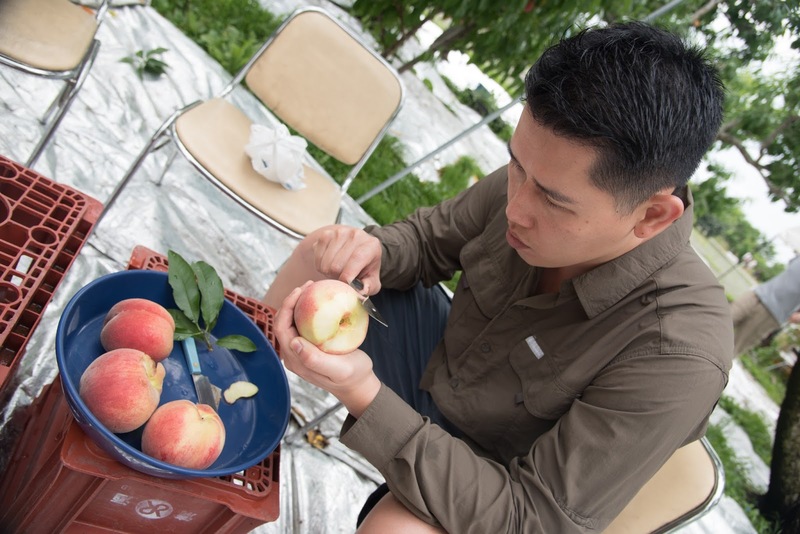 Our first stop was to Nakagomi Orchard. 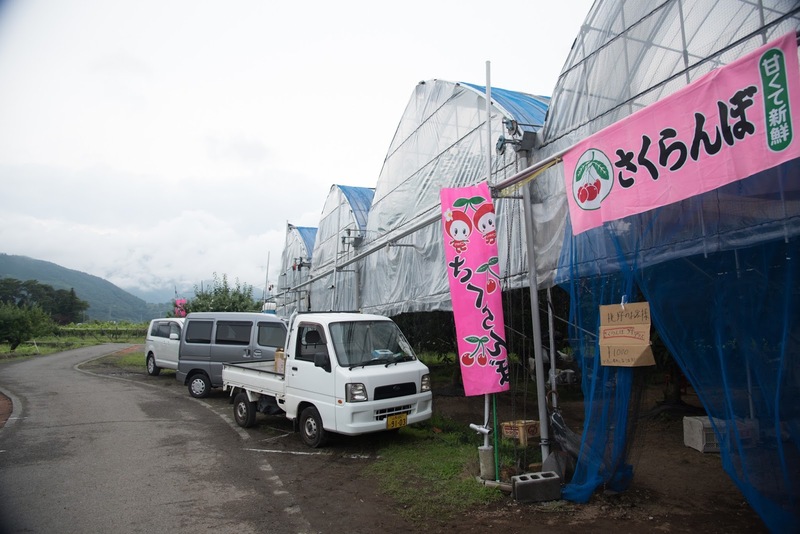 It is a fruit farm with seasonal fruits available for picking. 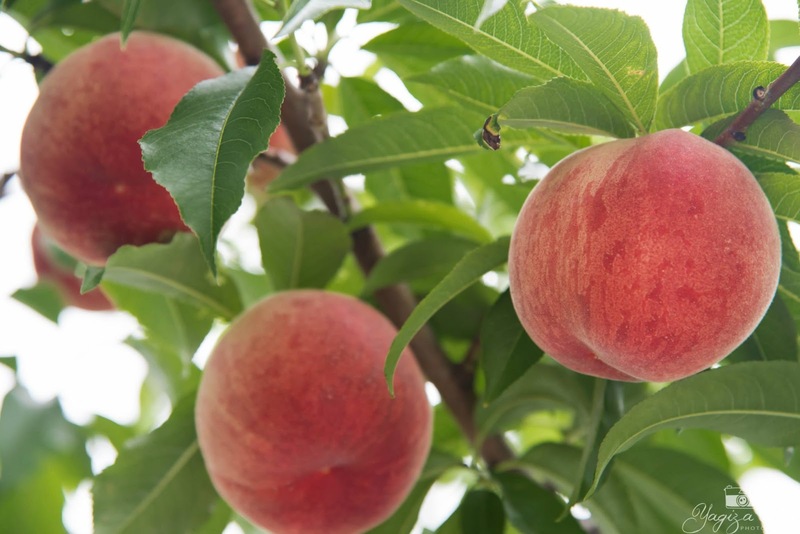 What was in season for late June/early July includes peaches (also known as momo), cherries and plums. We opted for the peaches and cherries and began our maiden experience at picking these fruit. With the GPS, it was quite easy to reach this place after about 30mins drive from Kofu station. Upon reaching the farm, there was a Japanese guy who knows how to speak English. So that makes communication much easier. 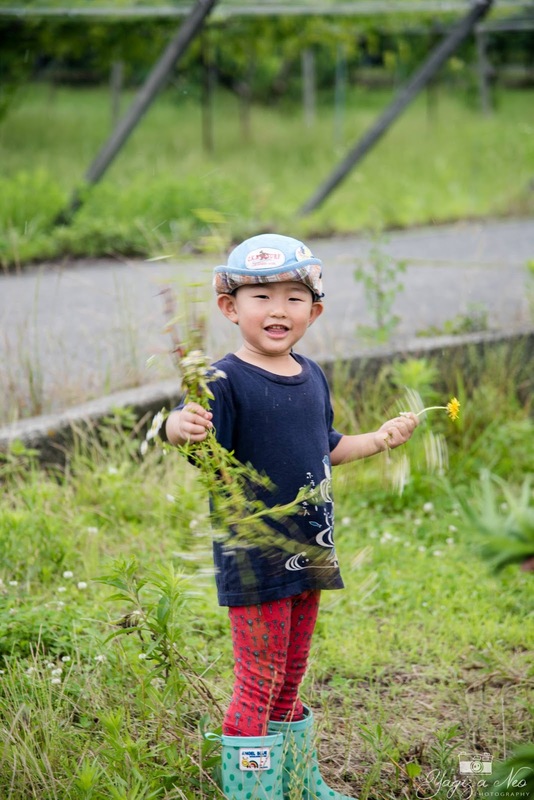 We realized there were some international volunteers who came by to help out at the farm. 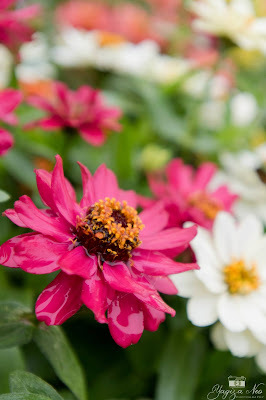 The weather turned slighly better with less rain, to our relief when we reached the farm. 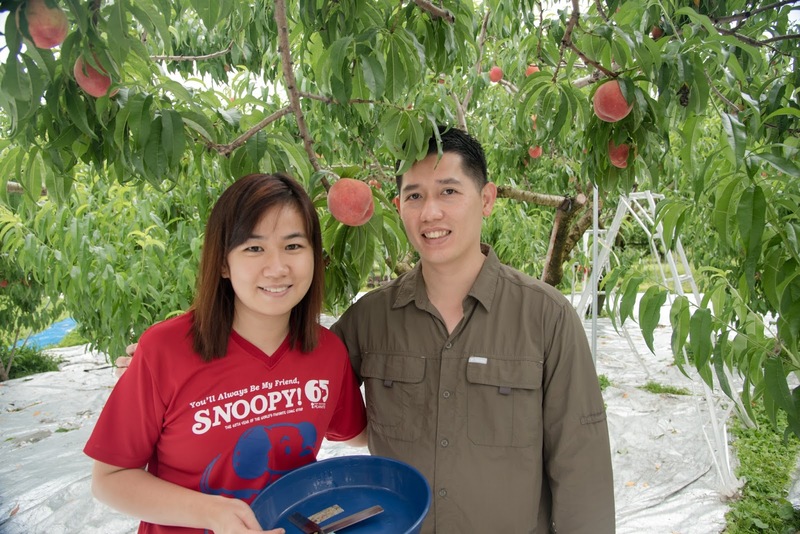 After having some crash course on how to pick fresh peaches, we started our adventure. The peach-picking duration was 1h followed by 45min of cherry picking. We were more interested in the peach and we ate really a lot of peaches! 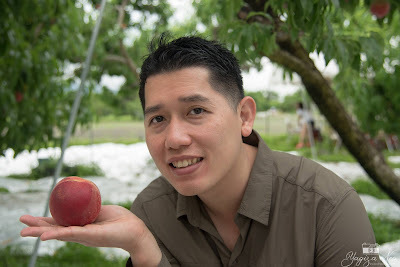 Dear was very happy that the peaches that he chose were all very sweet! 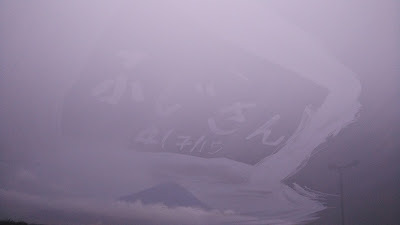 (amai in japanese). We proceeded to the cherry farms thereafter. 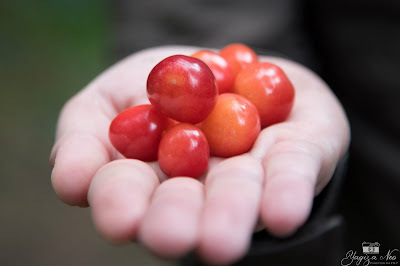 Very fresh and red cherries which tasted best that I have ever tried! After the cherry experience, we left the farm. 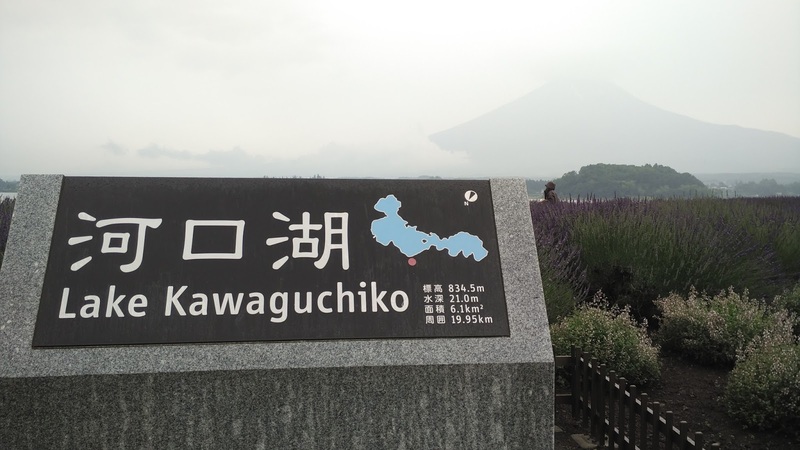 As the weather was still raining, and we just realised that there was fireworks that day at Kawaguchiko in view of the start of the Mount Fuji climbing season, we made a decision to go Kawaguchiko that day instead! It was about an hour and 20mins drive to Oishi Park, where the fireworks can be viewed. Along the way, there was beautiful scenery, aside from the rain. We went round mountains and steep bends and many tunnels. Must say that the road system in Japan is really well-organised, not just the train networks. All roads are well-paved and well-connected!! A glimpse of Mount Fuji behind! 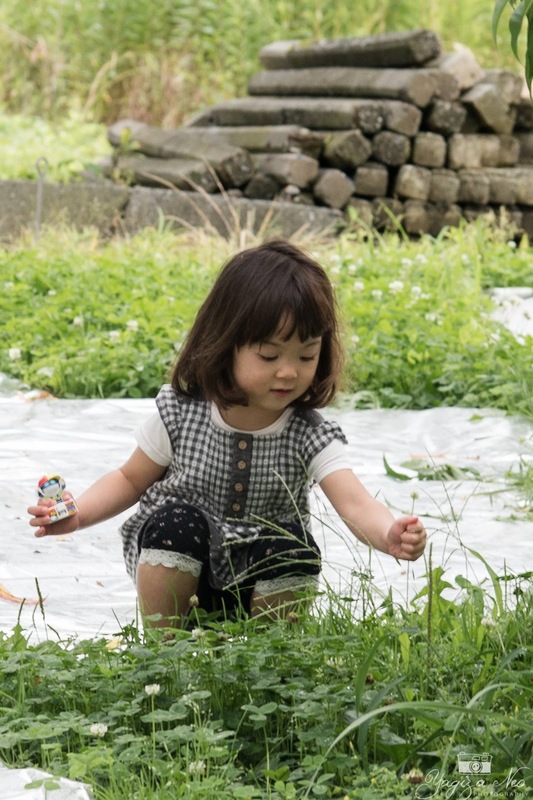 By the time we reached Oishi Park, we were famished! 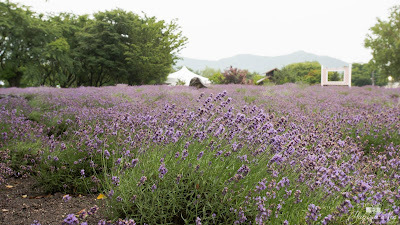 But what delighted us is the huge spread of lavender in front of our eyes. Amazing view. Too bad it was cloudy, we only got to see a slight glimpse of Mount Fuji. Sigh...but that did not dampen the crowds that day! 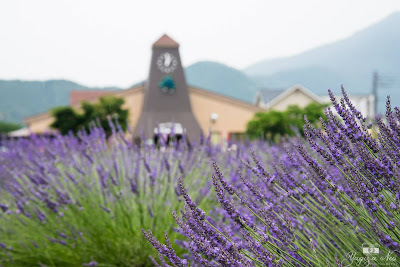 I only thought of Hokkaido when lavender is the topic. 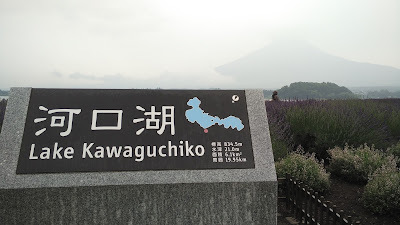 But, I'm surprised at Kawaguchiko, you could also enjoy such great view of lavender when in bloom! 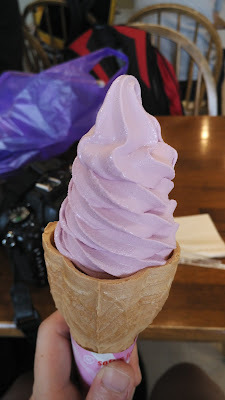 We tried the blueberry softcone icecream at the souvenir shop in Oishi Park. It was a great time enjoying the scenery outside while savouring this icecream. Our first time! 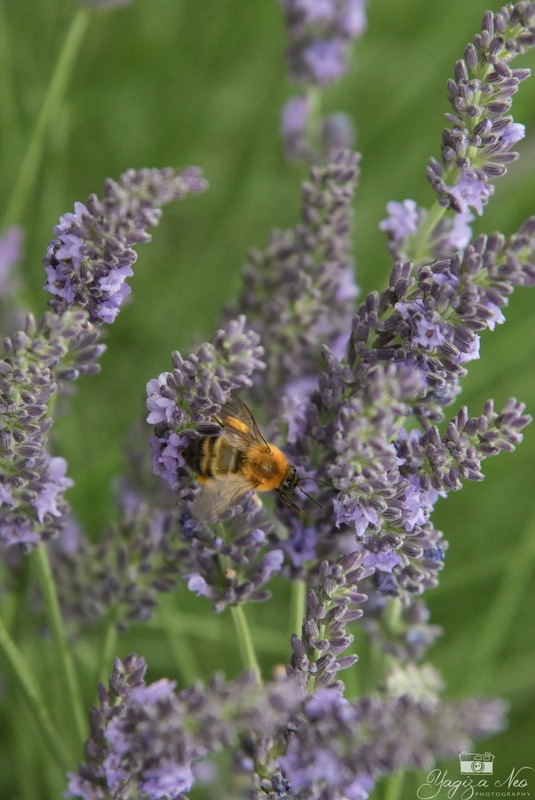 After shopping for a while for lavender-related products, we decided to find somewhere to settle our lunch. 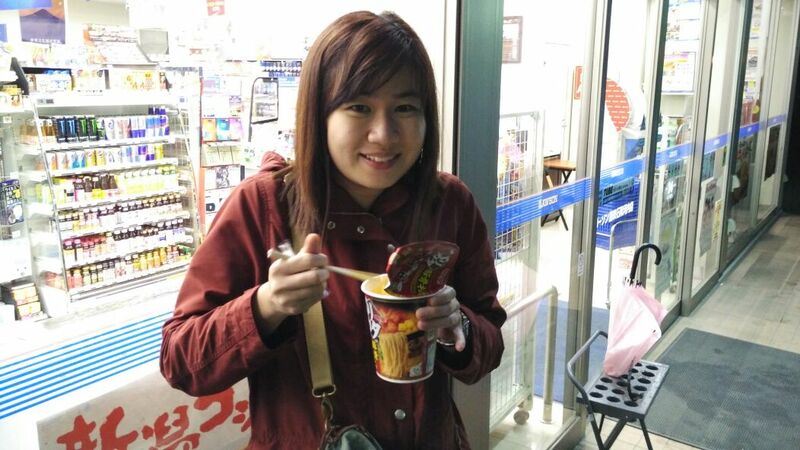 We wanted to try local food and we chanced upon this shop which sells ほうとう. 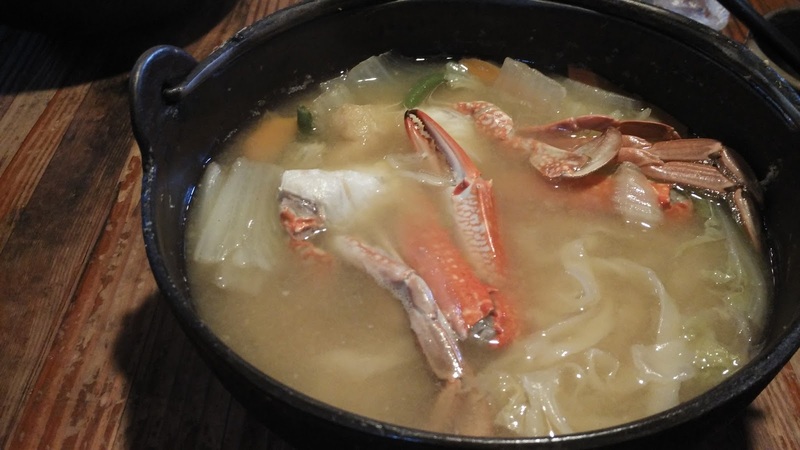 Apparently, Yamanshi Prefecture is well known for this dish and it is a must-try especially in cold and rainy weather! Photography was prohibited during the performance so no photos until end of performance when you could take photo with the monkey-in-action. 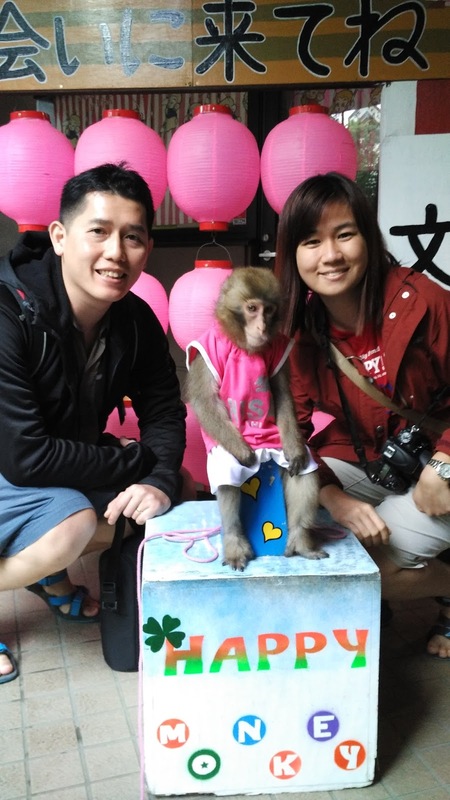 So these were monkeys (really cute) which are trained to be part of a performance together with their human buddy. We bought tickets to watch the last show. Duration was about 45minutes. There were english subtitles on the screen as the whole performance was carried out in Japanese. I understand Japanese so it was quite entertaining for me to hear the jokes that the human trainers were saying to the monkey haha..but not for dear.. The monkeys could really jump high and far, across many poles. 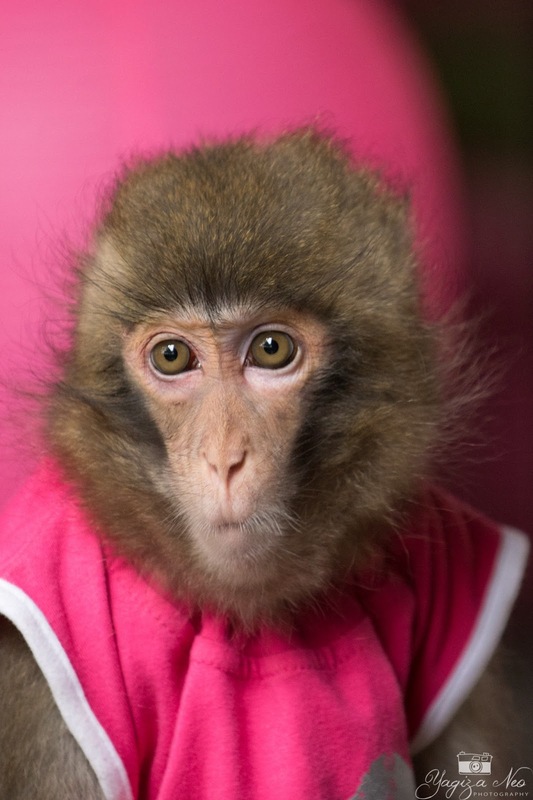 Sometimes, the monkeys could give very funny expressions. However, after the show I had mixed feeling about this. I have been to animal farms and sanctuary and I know monkeys do not behave like this. They do not walk around with two limbs just like human beings. But the monkeys here were able to do so. No doubt they looked cute while standing like a little adult, but I could not imagine how much training they might have to undergo to reach the performance standard. It must also be tiring to perform every hour. One of the monkeys looked quite lethargic. So yes, I guessed I would only visit once. Kids would definitely love it though but one has to think of a bigger picture I guess. This little one looked lethargic. Every audience has an opportunity to take photo with her. As all other attractions were closed at 5pm, we practically had no where to go. 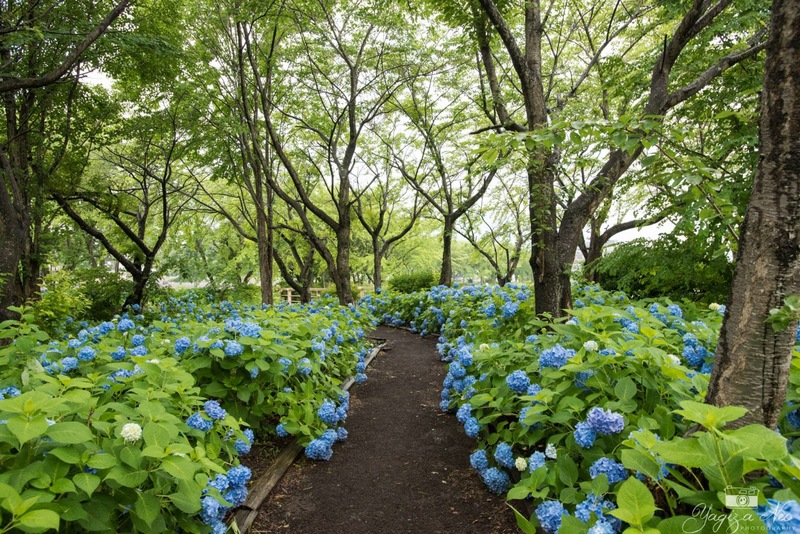 We headed to Yagizaki Park. This park has also many lavender fields, just like Oishi Park. 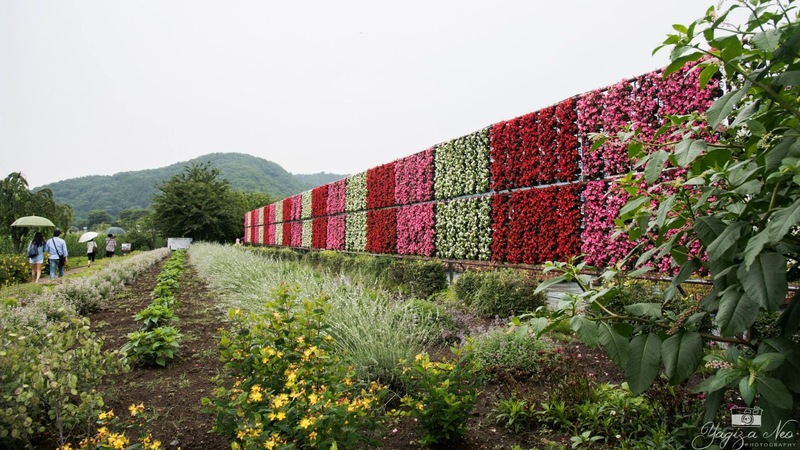 But, you can enjoy the view of Mount Fuji while at Oishi Park. Yagizaki Park is still one of the top choices to experience the Herb Festival held from June to July. As the weather was still bad, we didnt stay out for too long. 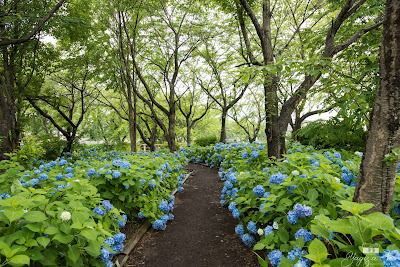 But I was pleasantly surprised by the huge spread of hydrangeas. Much nicer than the ones I saw at Shizuoka! Shops were all closed by then. Actually Yagizaki Park also opens at night and there are night bazaars. But looking at the miserable rain, we decided to stay inside the car haha.. 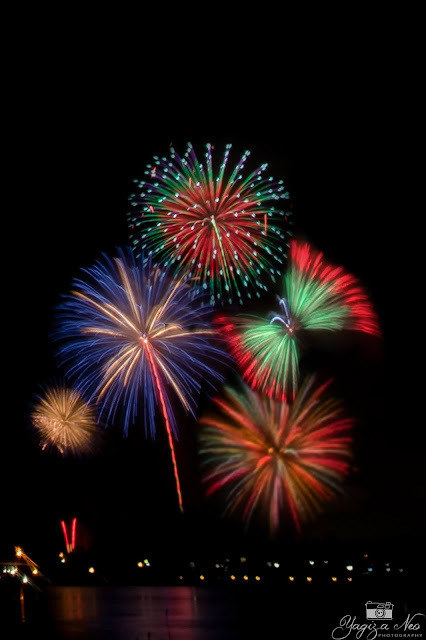 I saw an uncle closing shop and I asked if it is better to see fireworks from Oishi Park or Yagizaki Park. He told me Oishi Park is better! So, we drove back to Oishi Park, awaiting for the firework moment! While waiting for the fireworks... that peak is Fujisan! 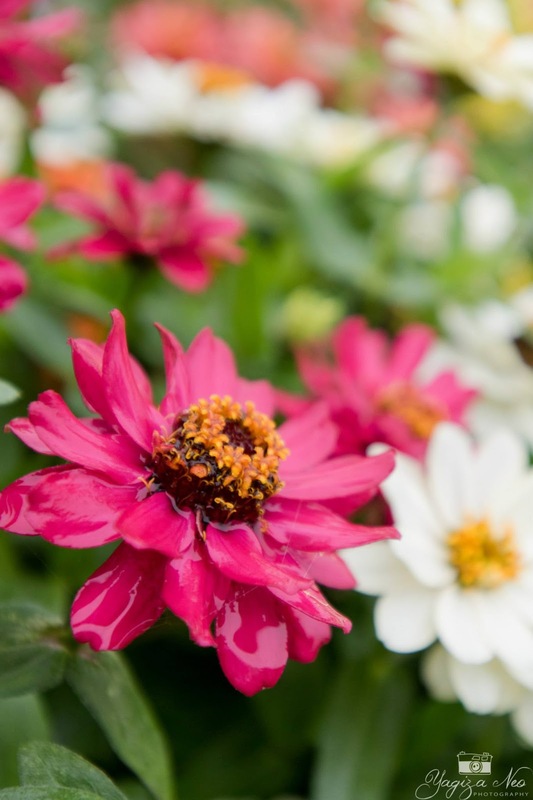 Great Outburst of Colors and Creativity! With the end of fireworks, we drove all the way back to Kofu, an hour drive away in the wet rainy night! It was a little INITIAL-D feeling as we drove up and down the mountains. 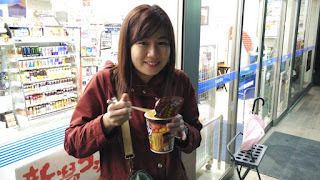 I was pretty scared actually but we managed safe.. and our hungry stomachs couldnt wait that we decided to make a stopover at the Lawson store to get some nice cup noodles! I missed that taste!